I was having some thoughts in regards to the general profiles of various Jasons in the game. With the current imbalance between Jason stats, we do have quite a specific meta established (which I think needs to be addressed) in regards to what abilities are prime and which ones are throwaway. Assuming Gun/Illfonic won't be adjusting Jason's stats and what they do anytime soon, lets look at some profiles for Jason that could be used without resorting to the +Destruction, +Shift, no -Traps concept. IDEA #1 (Undead Objective Controller): This Jason would be able to teleport often, interdict well in the water, and ambush his prey effectively. Taking no penalty to traps and Shift (while not handing out Shift+) would make for a very good guard dog and ambush killer without resorting to Destruction buffs, Traps, and Shift to make him effective. Stunning slightly longer, not being able to run, and having a few less hit points blunt the profile without making it ineffective in an objective controller role. STRENGTHS: +Morph +Water Speed + Stalk WEAKNESSES: - Can Run - Stun Resistance - Hit Points IDEA #2 (Utilitarian): More traps and more knives. A hop in his step for evening jogs and no penalty to swim. Nothing too offensive and nothing too defensive. STRENGTHS: +Traps +Throwing Knives +Can Run WEAKNESSES: - Sense - Defense - Grip Strength Do you guys have any ideas for Jason profiles that don't fall into the typical meta wish list? Forgive me if there has been a topic already made about this. I took my time to redo and rework the stats bc currently, in my opinion, the stats are great but could use a little bit of work. Composure: Reduces the amount of fear you receive when you are in a vulnerable state. Fear goes down quicker when you (for example) have a weapon or are indoors. Decreases the amount of Sense Jason tracks you with. The higher your composure is, the higher your speed is while breaking out of J's grab. Luck: Slightly increases chances of finding items in drawers, and increases weapon durability as well as decreasing vehicle start times. Repair: Increases repair speed & decreases the number of skill checks and makes skill checks larger. Speed: Increases top speed and slightly increases the speed of actions (e.g. : healing yourself, closing a door) Stamina: Increases time you can walk/jog/run for; less stamina is consumed during actions when you have a high stamina. Stealth: Reduces the sizes of noise pings, and quiets noisy actions. There is a chance, based on your stealth, that failed repair skill checks will not alert Jason depending on your stealth (@Alkavian. I think that's how you spell it). Strength: Increases attack speed, as well as overall damage for counselors. Low strength characters will attack at a slower pace, while high strength characters will attack fast. Also increases durability against damage. You will boost the speed of breaking out of Jason's grabs. Some other increases too: Composure: 45% chance to not yelp at the sight of Jason if your composure is high Luck: 5% chance to make you 'invincible' for a couple of seconds if your luck is high Repair: Repairs will have 1 skill check if you are completely injured and in a chase Speed: Counselors within 4 meters will get a speed boost of 3% if they are out of stamina Stamina: Your stamina regens quickly if you have high fear Stealth: High stealth will provide you with a 20% chance of not making a single sound when Jason is in your vicinity. Strength: Stun time on Jason is increased by 1-6% if your counselor has high strength The reason why I thought to re-work these is because I thought it was stupid that high stamina characters, like Vanessa and Tiff, run out of stamina quickly even though their stamina is a 9. (by that, i mean if you watch a video about running or whatever WITHOUT marathon, running will be quick and you'll lose stamina quickly.) I also thought it was stupid that Strength actually does help with breaking out of Jason's grab, it's just not listed. Eh, whatever. Hi fellows! Here I am again! This time remaking each Jason stats based exclusively on the movies. Don't worry, I have watched all the Paramount movies plus JGTH and I will try my best to remain as close as possible to the movies! Enjoy! Movie-accurate Part 2 Jason PROS CONS + Can Run - Defense + Traps - Grip Strength + Sense - Water Speed Movie-accurate Part 3 Jason PROS CONS + Can Run - Stun Resistance + Weapon Damage - Sense + Throwing Knives - Water Speed Movie-accurate Part 4 Jason PROS CONS + Can Run - Less Hit Points + Stalk - Grip Strength + Weapon Damage - Sense Movie-accurate Part 5 Jason (Roy) PROS CONS + Sense - Stun Resistance + Stalk - Can't Run + Defense - Morph Movie-accurate Part 6 Jason PROS CONS + Throwing Knives - Morph + Shift - Can't Run + Grip Strength - Defense Movie-accurate Part 7 Jason PROS CONS + Water Speed - Stun Resistance + Stalk - Can't Run + Morph - Shift Movie-accurate Part 8 Jason PROS CONS + Water Speed - Stalk + Destruction - Can't Run + Morph - Traps Movie-accurate Part 9 Jasons PROS CONS + Stun Resistance - Stalk + Grip Strength - Can't Run + Shift - Less Hit Points Did you guys liked it? If you want to know why I had given a certain stat to a certain Jason, put down in the comments. Switch Jason 4 Bad Shift for Less Hit Points! What do you all think? I'm proposing this because Jason 4 sprinted in the movie. So, low mobility is kind of weird for him And Jason 4 was wounded twice in the movie before he died. TWICE! How can this be considered a normal HP bar??? What I think all the Jason stats should be. Part 2: strengths: stay the same. Weakness’s: grip strength, shift, less hit points. Part 3: strengths: stay the same. Weakness’s: stun resistance, rage build up, sense. Part 4: strengths: can run, weapon strength, defense. Weakness’s: traps, sense, shift. Part 6: strengths: throwing knifes, defense, sense. Weakness’s: destruction, can’t run, traps. Part 7: strengths: rage build up, grip strength, morph. Weakness’s: can’t run, defense, stalk. Part 8: strengths: Destruction, water speed, stun resistance. Weakness’s: stay the same. Part 9: strengths: stay the same. Weakness’s: less hit points, morph, can’t run. Savini: strengths: grip strength, stun resistance, fear build up. Weakness’s: can’t run, water speed, traps. This is what I think the Jason stats should be in the game. What stats do you think a Jason should have? Before this get's a lock, I'd like to suggest a new counselor trope. I composed a female counselor that looks like Tina, and acts like Tina from Part 7, and her stats are as following: Ashley Miller Composure: 7/10. She doesn't freak out as much, as Tina didn't freak out when Jason was around in the movie Luck: 2/10 We have male characters with a luck of a 2, why not females? Repair: 6/10 Tina seems like a really smart girl, so Ashley can repair things without screwing up as much Speed: 7/10 Ashley can juke Jason around a lot, so yeah. Stamina: 6/10 If Ashley's gonna juke, she needs to have stamina. Stealth: 6/10 Ashley can stay quiet for a while until she starts running. Strength: 1/10 Ashley is pretty weak, so don't go fighting off Jason if needed. Welp, that is all. This, again, might get a lock, but I don't care, as these are really good stats for a counselor that I had in mind. Thank you! I have found multiple topics on different counselors we have now, and what their stats should look like because of how unbalanced some are. But I created this topic to pull in everyone's ideas for (all) counselor stats, and what you think they should be. Thanks, everyone! I've been following this game for so long and I do not know what tommys stats are. I always thought they were all 10 is that true? What's gonna be his stats? I need somebody to help me because I don't have the movie to watch Jason's actions. It's also confirmed he has a cleaver. How's the new map gonna look like? Like I said up there. I never owned the movie. (Probably should try to rent it though) Also, were gonna have a chance to recreate Jason's death, just with an older Tommy. Discuss it. I believe Jason Part 7 needs a rework and instead of Part 7 receiving other abilities that are too common and shared with other Jason's already such as fast shift, etc. he should be given some fresh new abilities to have his gameplay be different and unique from the others. This will allow a seemingly fresh new gaming experience when playing as Part 7, give birth to brand new tactics and counter strategies (for the counselor's side). The two abilities below are an inspiration from the Part 7 film. Here are some ideas that are different from the other Jason's abilities but can be given to Jason Part 7 to make him feel fun and diverse: JASON PART 7: IDEA 1: "Grip Strength" ability in Strengths now removed. New strength ability now added called "Bleeding Lacerations". Bleeding Lacerations - Jason's melee weapon strikes with his machete now cause a "bleeding" effect on a successful non-blocked strike to a counselor. Bleeding effect causes a counselor's health to drain very slightly over time and immediately enter a "cripple" movement state for ten seconds. The gradual health reduction through bleeding is non-lethal and cannot kill a counselor on it's own. Using a med spray on a counselor while in the "bleeding" condition will remove the debuff status immediately. Why? Reasons: - Jason Part 7 has the slowest movement and map control out of all the Jason's in the entire game. He has a weakness in his teleport (Morph), a weakness in his Shift (slow), the least amount of traps available to contain objectives, and he also cannot Run. 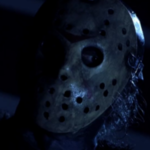 With Jason Part 7 having this new unique buff on his melee attack, not only would it make him a menacing threat with his Machete (homage to the movie), but it would force respect and coordination from the counselor's when he does happen to get in close and he will be better rewarded for his struggles in closing the distances. IDEA 2: "Water Speed" ability in Strengths now removed. New strength ability now added called "Compact Flesh". Compact Flesh - All weapons that hit or are blocked by Jason have double break rate, effectively halving their overall durability. Why? Reasons: - As mentioned earlier above with many of the weaknesses and shortcomings that Jason Part 7 has when it comes to overall map control and general mobility, Jason will need an added form of some pressure in the nature of a defensive ability. This essentially will make Jason Part 7 a pseudo tank allowing him to soak up counselor's weapon durability if they choose to battle the slow monstrous behemoth. Since running away and juking Part 7 is a severe weakness, he will need an extra layer of tension when the time comes to fight and this will reward the Jason player for the short times battle engages VS counselor's do happen. Thoughts? Opinions? Part 4 Jason: The new Part 8? I was watching a stream today and saw the Counselor Selection Screen. Hmmm... There is something about Adam stats that still doesn't fit for me. I dunno. Maybe he needs +1 on Stamina for when he decides to fight Jason? Maybe he needs +1 on Intelligence to fill his role better as the A. J. strong counterpart? Or maybe he needs -1 on Speed (or Stealth) and this point can go to Strength to be a deadlier threat for Jason? Edit: His Stealth needs to be reduced by 1 point and this point can go to Stamina, so he can run more from Jason and fight him better. Ya know, guys? Everyone talks about Part 7 Jason needing changes (for obvious reasons), but this time I'll talk about Part 8 Jason. Don't get me wrong, I love him and his +Destruction ability, but I think he still needs some adjustments. I'm doing this because though he is a viable Jason to use, he still needs to get his tools explored to his maximum potential and even to adept to a specific playstyle. And some of his stats, like +Stalk doesn't seems to fix together with his other stats. My ideas are: Strengths +Water Speed +Destruction +Morph (Replacement of +Stalk) Weaknesses -Stalk (Replacement of -Sense) -Can't Run -Stun Resistance (Replacement of -Grip Strength) So, I thought of Stalk as a weakness instead of a strength because in the movie, Jason didn't bothered showing up for most of his victims (like Miles Wolfe for example) and because with Morph as a strength for Jason 8, regular Stalk would become unbalanced as Jason would be morphing all the time and be undetectable by counselors. About +Morph, I thought it would be awesome because lots of times in JTM Jason teleports (again in Miles' death) and it would make better use of his +Destruction ability. Well, what do you all think? Do perks which increase a specific stat, such as Stealth, actually increase that stat if it's already at 10?